How to Copy DVD to iTunes Library for syncing to iPad, iPhone, Apple TV? 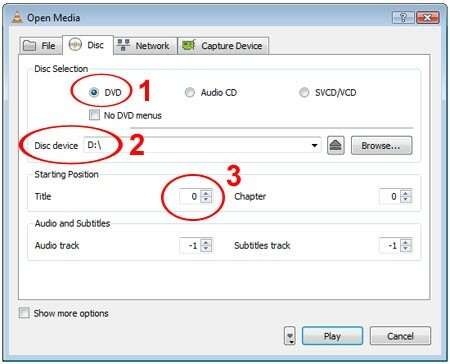 In this guide I’ll show you how to rip DVD onto a digital video, store the DVD movie in iTunes. Instead of spending a bunch of money on the iTunes store and buying movies through iTunes you can actually copy any DVDs onto iTunes and then sync it to your iPhone, iPad, or Apple TV. That’s what I’m going to show you how to do. If you want to enjoy music or movie on your Apple devices like iPhone, iPod, iPad and Apple TV, the first thing you need to do is to sync videos and audios from your iTunes library to your devices. ITunes is a media player computer program, used for playing, downloading, and organizing digital music and video files on desktop or laptop computers. iTunes could only recognize video files in MP4, MOV, M4V, etc. which means if you want to copy DVD movies to iTunes Library, you should rip DVD to iTunes playable videos before you can sync DVDs to iTunes for playback. To do this you’ll be using Aimersoft DVD Ripper software (Review). They make the best DVD ripping & copying software out there. It’s by far my favorite — very easy to use, fast, and high quality. The first thing you want to do is click the link at the below for a free trial download of this software. That link will start an instant download of this program. Download and install the application from the link above, and you’ll be able to try it out for free. If you like it you can register and buy for the full version right from the program itself. See Also: 2015 Best DVD Copying and Ripping Tools Reviewed | Which is your best choice? How to rip DVD to MP4/M4V/MOV for syncing to iTunes Library on PC? Once you have this DVD to iTunes converter application installed, insert the DVD movie that you want to copy to iTunes library into your computer’s DVD drive. Load your DVD movie or ISO file in the DVD Ripper. Just follow the detailed guide to complete your conversion. After you have successfully completed loading your DVD, select the output format and folder. The video formats available are M4V, MP4 or MOV. In this case, we shall select MP4 format from the common video choices only for description purposes. If you do not have a ready folder, you can choose an output path as the destination folder to save the converted movie. Subtitle: Regular DVD movie usually has several subtitles, like English, French, German, etc. You can select anyone according to your need. You also can select “No Subtitle”. Audio: Select Audio is the same as select Subtitle. iTunes can support the following audio and video files, AIFF (AIFC, audio CD, MP3, System 7 Sound (SND), uLaw (AU), WAV, QDesign, QuickTime audio (audio only movies) AAC (Advanced Audio Coding) as well as MP4. When it comes to video, Apple has allowed iTunes to read only one video format, which includes MPEG-4 (.mp4, .m4v). Meaning you can only convert your DVD to MPEG-4 for you to play them on iTunes. After all things done, you need to do is click the “Start” button in the bottom right, and it will start copying the DVD movie to your computer. This might take some time. However, it is important to note that the conversion time depends on the size of the DVD movies. Select the file and click “Open”. If the transfer is successful you can further transfer the movie to your iPad Air, iPad Mini 3, iPad 3, iPhoen 6, iPhone 6 plus, iPhone 5S, Apple TV 3 and other portable devices and you can easily enjoy them everywhere you wish to. That, my friends, is how to put DVDs onto iTunes — the absolute best way to do it. Go ahead and give that a try. Enjoy having your favorite DVDs in iTunes and any Apple devices now! There are a number of methods that one can use to play DVD to iTunes. One of these methods includes ripping non-protected DVD to iTunes with the use of VLC media player. If you have already installed VLC media player in your computer well and good; if not, you can download it since it is free software. First, you have to insert your DVD into your drive, then go ahead and launch the VLC media player. Click -> Open Disc after which you will see a pop up window. Then select the device that you wish to rip. Ascertain if your disc drive supports the optical drive in which you have inserted your DVD. Then select the output format of your choice and Click -> Convert/Save which will initiate the ripping process. After a successful completion of the process, open your iTunes, then transfer the ripped DVD movies to your iTunes library. You can decide to watch it on your computer or share it with your friends in your portable devices. ← How to Convert and Sync iTunes videos to Hudl 2 without any troubles? How to move files between Hudl 2 tablet and my computer? This simple to use and affordable program is a great DVD Ripper, but what was important for me was that I was able to use it to rip DVD to iTunes friendly formats for syncing to my iPad Mini 3 and iPhone 6. thanks! This DVD ripper runs fast and lets me insert subtitles to my movies. That impresses me. Outstanding! Originally I had some bad experience with other DRM converters. BUT this DRM removal works well for me and it’s worth the money I’ve paid. After using it for nearly a month, I find it very handy and useful for me. With just a few clicks, I can easily rip and convert DVD-video files from DVD disc or DVD Folders. The built-in default presets gives me much convenience in ripping off videos or music to my iPhone and iPad. I installed the DVD Ripper on Windows computer. Then, all I need to do is drag and drop the folders I want, select output type: MP4 format, and Aimersoft does the rest. It’s much easier.